The first direct observation of gravitational waves was made on 14 September 2015 and was announced by the LIGO and Virgo collaborations on 11 February 2016. Previously, gravitational waves had only been inferred indirectly, via their effect on the timing of pulsars in binary star systems. The waveform, detected by both LIGO observatories,  matched the predictions of general relativity    for a gravitational wave emanating from the inward spiral and merger of a pair of black holes of around 36 and 29 solar masses and the subsequent "ringdown" of the single resulting black hole. [note 1] The signal was named GW150914 (from "Gravitational Wave" and the date of observation 2015-09-14). [note 2] It was also the first observation of a binary black hole merger, demonstrating both the existence of binary stellar-mass black hole systems and the fact that such mergers could occur within the current age of the universe. The Virgo interferometer is a large interferometer designed to detect gravitational waves predicted by the general theory of relativity. Virgo is a Michelson interferometer that is isolated from external disturbances: its mirrors and instrumentation are suspended and its laser beam operates in a vacuum. The instrument's two arms are three kilometres long and located in Santo Stefano a Macerata, near the city of Pisa, Italy. Gravitational waves are disturbances in the curvature (fabric) of spacetime, generated by accelerated masses, that propagate as waves outward from their source at the speed of light. They were proposed by Henri Poincaré in 1905 and subsequently predicted in 1916 by Albert Einstein on the basis of his general theory of relativity. Gravitational waves transport energy as gravitational radiation, a form of radiant energy similar to electromagnetic radiation. Newton's law of universal gravitation, part of classical mechanics, does not provide for their existence, since that law is predicated on the assumption that physical interactions propagate instantaneously – showing one of the ways the methods of classical physics are unable to explain phenomena associated with relativity. In physics, spacetime is any mathematical model that fuses the three dimensions of space and the one dimension of time into a single four-dimensional continuum. Spacetime diagrams can be used to visualize relativistic effects such as why different observers perceive where and when events occur. The observation confirms the last remaining directly undetected prediction of general relativity and corroborates its predictions of space-time distortion in the context of large scale cosmic events (known as strong field tests). It was also heralded as inaugurating a new era of gravitational-wave astronomy, which will enable observations of violent astrophysical events that were not previously possible and potentially allow the direct observation of the very earliest history of the universe. On 15 June 2016, two more detections of gravitational waves, made in late 2015, were announced. Eight more observations were made in 2017, including GW170817, the first observed merger of binary neutron stars, which was also observed in electromagnetic radiation. General relativity is the geometric theory of gravitation published by Albert Einstein in 1915 and the current description of gravitation in modern physics. 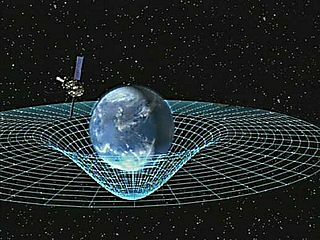 General relativity generalizes special relativity and Newton's law of universal gravitation, providing a unified description of gravity as a geometric property of space and time, or spacetime. In particular, the curvature of spacetime is directly related to the energy and momentum of whatever matter and radiation are present. The relation is specified by the Einstein field equations, a system of partial differential equations. Tests of general relativity serve to establish observational evidence for the theory of general relativity. The first three tests, proposed by Einstein in 1915, concerned the "anomalous" precession of the perihelion of Mercury, the bending of light in gravitational fields, and the gravitational redshift. The precession of Mercury was already known; experiments showing light bending in line with the predictions of general relativity was found in 1919, with increasing precision measurements done in subsequent tests, and astrophysical measurement of the gravitational redshift was claimed to be measured in 1925, although measurements sensitive enough to actually confirm the theory were not done until 1954. A program of more accurate tests starting in 1959 tested the various predictions of general relativity with a further degree of accuracy in the weak gravitational field limit, severely limiting possible deviations from the theory. Gravitational-wave astronomy is an emerging branch of observational astronomy which aims to use gravitational waves to collect observational data about objects such as neutron stars and black holes, events such as supernovae, and processes including those of the early universe shortly after the Big Bang. Mass is both a property of a physical body and a measure of its resistance to acceleration when a net force is applied. The object's mass also determines the strength of its gravitational attraction to other bodies. In physics and chemistry, the law of conservation of energy states that the total energy of an isolated system remains constant; it is said to be conserved over time. This law means that energy can neither be created nor destroyed; rather, it can only be transformed or transferred from one form to another. For instance, chemical energy is converted to kinetic energy when a stick of dynamite explodes. If one adds up all the forms of energy that were released in the explosion, such as the kinetic energy and potential energy of the pieces, as well as heat and sound, one will get the exact decrease of chemical energy in the combustion of the dynamite. Classically, conservation of energy was distinct from conservation of mass; however, special relativity showed that mass is related to energy and vice versa by E = mc2, and science now takes the view that mass–energy is conserved. In astronomy, the term "compact star" refers collectively to white dwarfs, neutron stars, and black holes. It would grow to include exotic stars if such hypothetical dense bodies are confirmed. A neutron star is the collapsed core of a giant star which before collapse had a total of between 10 and 29 solar masses. Neutron stars are the smallest and densest stars, not counting hypothetical quark stars and strange stars. Neutron stars have a radius of the order of 10 kilometres (6.2 mi) and a mass lower than a 2.16 solar masses. They result from the supernova explosion of a massive star, combined with gravitational collapse, that compresses the core past white dwarf star density to that of atomic nuclei. The Laser Interferometer Space Antenna (LISA) is a European Space Agency mission designed to detect and accurately measure gravitational waves—tiny ripples in the fabric of space-time—from astronomical sources. LISA would be the first dedicated space-based gravitational wave detector. It aims to measure gravitational waves directly by using laser interferometry. The LISA concept has a constellation of three spacecraft, arranged in an equilateral triangle with sides 2.5 million km long, flying along an Earth-like heliocentric orbit. The distance between the satellites is precisely monitored to detect a passing gravitational wave. LIGO operates two gravitational-wave observatories in unison, located 3,002 km (1,865 mi) apart: the LIGO Livingston Observatory ( 30°33′46.42″N90°46′27.27″W﻿ / ﻿30.5628944°N 90.7742417°W﻿ / 30.5628944; -90.7742417 ) in Livingston, Louisiana, and the LIGO Hanford Observatory, on the DOE Hanford Site ( 46°27′18.52″N119°24′27.56″W﻿ / ﻿46.4551444°N 119.4076556°W﻿ / 46.4551444; -119.4076556 ) near Richland, Washington. The tiny shifts in the length of their arms are continually compared and significant patterns which appear to arise synchronously are followed up to determine whether a gravitational wave may have been detected or if some other cause was responsible. −0.06,  i.e. one with 2/3 of the maximum possible angular momentum for its mass. ↑ The name format is the initials of "Gravitational Wave" plus the date format yy-mm-dd of 2015-09-14 making the name GW150914. In theories of quantum gravity, the graviton is the hypothetical quantum of gravity, an elementary particle that mediates the force of gravity. There is no complete quantum field theory of gravitons due to an outstanding mathematical problem with renormalization in general relativity. In string theory, believed to be a consistent theory of quantum gravity, the graviton is a massless state of a fundamental string. The gravitational wave background is a random gravitational wave signal produced by a large number of weak, independent, and unresolved sources. A gravitational-wave observatory is any device designed to measure gravitational waves, tiny distortions of spacetime that were first predicted by Einstein in 1916. Gravitational waves are perturbations in the theoretical curvature of spacetime caused by accelerated masses. The existence of gravitational radiation is a specific prediction of general relativity, but is a feature of all theories of gravity that obey special relativity. Since the 1960s, gravitational-wave detectors have been built and constantly improved. The present-day generation of resonant mass antennas and laser interferometers has reached the necessary sensitivity to detect gravitational waves from sources in the Milky Way. Gravitational-wave observatories are the primary tool of gravitational-wave astronomy. The LIGO Scientific Collaboration (LSC) is a scientific collaboration of international physics institutes and research groups dedicated to the search for gravitational waves. A binary black hole (BBH) is a system consisting of two black holes in close orbit around each other. Like black holes themselves, binary black holes are often divided into stellar binary black holes, formed either as remnants of high-mass binary star systems or by dynamic processes and mutual capture, and binary supermassive black holes believed to be a result of galactic mergers. A neutron star merger is a type of stellar collision. It occurs in a fashion similar to the rare brand of type Ia supernovae resulting from merging white dwarfs. When two neutron stars orbit each other closely, they spiral inward as time passes due to gravitational radiation. When the two neutron stars meet, their merger leads to the formation of either a more massive neutron star, or a black hole. The merger can also create a magnetic field that is trillions of times stronger than that of Earth in a matter of one or two milliseconds. These events are believed to create short gamma-ray bursts. The mergers are also believed to produce kilonovae, which are transient sources of fairly isotropic longer wave electromagnetic radiation due to the radioactive decay of heavy r-process nuclei that are produced and ejected during the merger process. A kilonova is a transient astronomical event that occurs in a compact binary system when two neutron stars or a neutron star and a black hole merge into each other. Kilonovae are thought to emit short gamma-ray bursts and strong electromagnetic radiation due to the radioactive decay of heavy r-process nuclei that are produced and ejected fairly isotropically during the merger process. GW151226 was a gravitational wave signal detected by the LIGO observatory on 25 December 2015 local time. On 15 June 2016, the LIGO and Virgo collaborations announced that they had verified the signal, making it the second such signal confirmed, after GW150914, which had been announced four months earlier the same year, and the third gravitational wave signal detected. GW170104 was a gravitational wave signal detected by the LIGO observatory on 4 January 2017. On 1 June 2017, the LIGO and Virgo collaborations announced that they had reliably verified the signal, making it the third such signal announced, after GW150914 and GW151226, and fourth overall. GW170817 was a gravitational wave (GW) signal observed by the LIGO and Virgo detectors on 17 August 2017. The GW was produced by the last minutes of two neutron stars spiralling closer to each other and finally merging, and is the first GW observation which has been confirmed by non-gravitational means. Unlike the five previous GW detections, which were of merging black holes not expected to produce a detectable electromagnetic signal, the aftermath of this merger was also seen by 70 observatories on seven continents and in space, across the electromagnetic spectrum, marking a significant breakthrough for multi-messenger astronomy. The discovery and subsequent observations of GW170817 were given the Breakthrough of the Year award for 2017 by the journal Science. NGC 4993 is a lenticular galaxy located about 140 million light-years away in the constellation Hydra. It was discovered on 26 March 1789 by William Herschel and is a member of the NGC 4993 Group. GW170814 was a gravitational wave signal from two merging black holes, detected by the LIGO and Virgo observatories on 14 August 2017. On 27 September 2017, the LIGO and Virgo collaborations announced the observation of the signal, the fourth confirmed event after GW150914, GW151226 and GW170104. It was the first binary black hole merger detected by LIGO and Virgo together. In gravitational wave astronomy, a golden binary is a binary black hole collision event whose inspiral and ringdown phases have been measured accurately enough to provide separate measurements of the initial and final black hole masses. GW170608 was a gravitational wave event that was recorded on 8 June 2017 at 02:01:16.49 UTC by Advanced LIGO. It originated from the merger of two black holes with masses of and . The resulting black hole had a mass around 18 solar masses. About one solar mass was converted to energy in the form of gravitational waves. PyCBC is an open source software package primarily written in the Python programming language which is designed for use in gravitational-wave astronomy and gravitational-wave data analysis. PyCBC contains modules for signal processing, FFT, matched filtering, gravitational waveform generation, among other tasks common in gravitational-wave data analysis. 1 2 3 4 5 The LIGO Scientific Collaboration and The Virgo Collaboration (2016). "An improved analysis of GW150914 using a fully spin-precessing waveform model". Physical Review X. 6 (4). arXiv: 1606.01210 . Bibcode:2016PhRvX...6d1014A. doi:10.1103/PhysRevX.6.041014. 1 2 3 4 Abbott, Benjamin P.; et al. (LIGO Scientific Collaboration and Virgo Collaboration) (2016). "Properties of the binary black hole merger GW150914". Physical Review Letters. 116 (24): 241102. arXiv: 1602.03840 . Bibcode:2016PhRvL.116x1102A. doi:10.1103/PhysRevLett.116.241102. PMID 27367378. 1 2 3 4 5 6 7 8 9 10 11 12 13 14 15 16 17 18 19 20 Abbott, Benjamin P.; et al. (LIGO Scientific Collaboration and Virgo Collaboration) (2016). "Observation of Gravitational Waves from a Binary Black Hole Merger". Phys. Rev. Lett. 116 (6): 061102. arXiv: 1602.03837 . Bibcode:2016PhRvL.116f1102A. doi:10.1103/PhysRevLett.116.061102. PMID 26918975. Lay summary (PDF). 1 2 3 4 5 6 7 8 9 10 11 12 Castelvecchi, Davide; Witze, Alexandra (11 February 2016). "Einstein's gravitational waves found at last". Nature News. doi:10.1038/nature.2016.19361 . Retrieved 11 February 2016. ↑ The Editorial Board (16 February 2016). "The Chirp Heard Across the Universe". New York Times . Retrieved 16 February 2016. 1 2 "Einstein's gravitational waves 'seen' from black holes". BBC News. 11 February 2016. 1 2 Pretorius, Frans (2005). "Evolution of Binary Black-Hole Spacetimes". Physical Review Letters. 95 (12): 121101. arXiv: gr-qc/0507014 . Bibcode:2005PhRvL..95l1101P. doi:10.1103/PhysRevLett.95.121101. ISSN 0031-9007. PMID 16197061. 1 2 Campanelli, M.; Lousto, C. O.; Marronetti, P.; Zlochower, Y. (2006). "Accurate Evolutions of Orbiting Black-Hole Binaries without Excision". Physical Review Letters. 96 (11): 111101. arXiv: gr-qc/0511048 . Bibcode:2006PhRvL..96k1101C. doi:10.1103/PhysRevLett.96.111101. ISSN 0031-9007. PMID 16605808. 1 2 Baker, John G.; Centrella, Joan; Choi, Dae-Il; Koppitz, Michael; van Meter, James (2006). "Gravitational-Wave Extraction from an Inspiraling Configuration of Merging Black Holes". Physical Review Letters. 96 (11): 111102. arXiv: gr-qc/0511103 . Bibcode:2006PhRvL..96k1102B. doi:10.1103/PhysRevLett.96.111102. ISSN 0031-9007. PMID 16605809. ↑ Castelvecchi, Davide (23 March 2016). "The black-hole collision that reshaped physics". Nature . 531 (7595): 428–431. Bibcode:2016Natur.531..428C. doi:10.1038/531428a. PMID 27008950. 1 2 3 4 5 Naeye, Robert (11 February 2016). "Gravitational Wave Detection Heralds New Era of Science". Sky and Telescope. Retrieved 11 February 2016. 1 2 Blum, Alexander; Lalli, Roberto; Renn, Jürgen (12 February 2016). "The long road towards evidence". Max Planck Society . Retrieved 15 February 2016. ↑ Radford, Tim (11 February 2016). "Gravitational waves: breakthrough discovery after a century of expectation". The Guardian . Retrieved 19 February 2016. 1 2 Harwood, W. (11 February 2016). "Einstein was right: Scientists detect gravitational waves in breakthrough". CBS News . Retrieved 12 February 2016. 1 2 Drake, Nadia (11 February 2016). "Found! Gravitational Waves, or a Wrinkle in Spacetime". National Geographic News . Retrieved 12 February 2016. ↑ Stuver, Amber (12 February 2016). "Your Questions About Gravitational Waves, Answered". Gizmodo (Interview). Interviewed by Jennifer Ouellette. Gawker Media. Retrieved 24 February 2016. 1 2 3 4 5 6 7 8 9 Abbott, Benjamin P.; et al. (LIGO Scientific Collaboration and Virgo Collaboration) (2016). "Tests of general relativity with GW150914". Physical Review Letters. 116 (221101): 221101. arXiv: 1602.03841 . Bibcode:2016PhRvL.116v1101A. doi:10.1103/PhysRevLett.116.221101. PMID 27314708. 1 2 3 4 5 6 7 Abbott, Benjamin P.; et al. (LIGO Scientific Collaboration and Virgo Collaboration) (20 February 2016). "Astrophysical implications of the binary black-hole merger GW150914". The Astrophysical Journal. 818 (2): L22. arXiv: 1602.03846 . Bibcode:2016ApJ...818L..22A. doi:10.3847/2041-8205/818/2/L22. 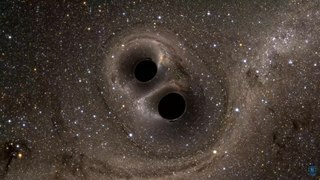 1 2 CNN quoting Prof. Martin Hendry (University of Glasgow, LIGO) - "Detecting gravitational waves will help us to probe the most extreme corners of the cosmos -- the event horizon of a black hole, the innermost heart of a supernova, the internal structure of a neutron star: regions that are completely inaccessible to electromagnetic telescopes." 1 2 Ghosh, Pallab (11 February 2016). "Einstein's gravitational waves 'seen' from black holes". BBC News. Retrieved 19 February 2016. With gravitational waves, we do expect eventually to see the Big Bang itself. ↑ Overbye, Dennis (15 June 2016). "Scientists Hear a Second Chirp From Colliding Black Holes". New York Times . Retrieved 15 June 2016. 1 2 "GW150914: LIGO Detects Gravitational Waves". Black-holes.org. Retrieved 16 February 2016. 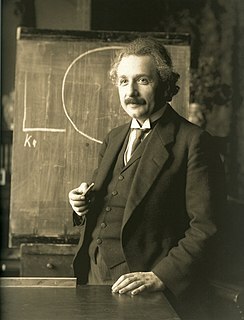 ↑ Einstein, A (June 1916). "Näherungsweise Integration der Feldgleichungen der Gravitation". Sitzungsberichte der Königlich Preussischen Akademie der Wissenschaften Berlin . part 1: 688–696. Bibcode:1916SPAW.......688E. ↑ Einstein, A (1918). "Über Gravitationswellen". Sitzungsberichte der Königlich Preussischen Akademie der Wissenschaften Berlin. part 1: 154–167. Bibcode:1918SPAW.......154E. ↑ Schutz, Bernard (31 May 2009). "9. Gravitational radiation". A First Course in General Relativity (2 ed.). Cambridge University Press. pp. 234, 241. ISBN 978-0-521-88705-2. 1 2 Commissariat, Tushna; Harris, Margaret (11 February 2016). "LIGO detects first ever gravitational waves – from two merging black holes". Physics World . Retrieved 19 February 2016. ↑ LIGO Scientific Collaboration and VIRGO Collaboration (16 July 2010). "Predictions for the rates of compact binary coalescences observable by ground-based gravitational-wave detectors". Class. Quantum Grav. 27 (17): 173001. arXiv: 1003.2480 . Bibcode:2010CQGra..27q3001A. doi:10.1088/0264-9381/27/17/173001. ↑ Staats, Kai; Cavaglia, Marco; Kandhasamy, Shivaraj (8 August 2015). "Detecting Ripples in Space-Time, with a Little Help from Einstein". Space.com . Retrieved 16 February 2016. ↑ Weisberg, J. M.; Taylor, J. H.; Fowler, L. A. (October 1981). "Gravitational waves from an orbiting pulsar". Scientific American. 245 (4): 74–82. Bibcode:1981SciAm.245d..74W. doi:10.1038/scientificamerican1081-74. ↑ Weisberg, J. M.; Nice, D. J.; Taylor, J. H. (2010). "Timing Measurements of the Relativistic Binary Pulsar PSR B1913+16". Astrophysical Journal. 722 (2): 1030–1034. arXiv: 1011.0718v1 . Bibcode:2010ApJ...722.1030W. doi:10.1088/0004-637X/722/2/1030. ↑ "Press Release: The Nobel Prize in Physics 1993". Nobel Prize. 13 October 1993. Retrieved 6 May 2014. ↑ Stairs, Ingrid H. (2003). "Testing General Relativity with Pulsar Timing". Living Reviews in Relativity. 6 (1): 5. arXiv: astro-ph/0307536 . Bibcode:2003LRR.....6....5S. doi:10.12942/lrr-2003-5. PMC 5253800 . PMID 28163640. ↑ Kramer, M.; et al. (14 September 2006). "Tests of general relativity from timing the double pulsar". Science (published 6 October 2006). 314 (5796): 97–102. arXiv: astro-ph/0609417 . Bibcode:2006Sci...314...97K. doi:10.1126/science.1132305. PMID 16973838. ↑ "Gravitational wave detection a step closer with Advanced LIGO". SPIE Newsroom. Retrieved 4 January 2016. ↑ "LIGO Hanford's H1 Achieves Two-Hour Full Lock". February 2015. Archived from the original on 22 September 2015. Retrieved 11 February 2016. ↑ Abbott, Benjamin P.; et al. (LIGO Scientific Collaboration and Virgo Collaboration) (2016). "Prospects for Observing and Localizing Gravitational-Wave Transients with Advanced LIGO and Advanced Virgo". Living Reviews in Relativity. 19 (1): 1. arXiv: 1304.0670 . Bibcode:2016LRR....19....1A. doi:10.1007/lrr-2016-1. PMC 5256041 . PMID 28179853. 1 2 Cho, Adrian (11 February 2016). "Here's the first person to spot those gravitational waves". Science . doi:10.1126/science.aaf4039. ↑ Castelvecchi, Davide (12 January 2016). "Gravitational-wave rumours in overdrive". Nature News. doi:10.1038/nature.2016.19161 . Retrieved 11 February 2016. ↑ Castelvecchi, Davide (16 February 2016). "Gravitational waves: How LIGO forged the path to victory". Nature (published 18 February 2016). 530 (7590): 261–262. Bibcode:2016Natur.530..261C. doi:10.1038/530261a. PMID 26887468. ↑ Roston, Michael (11 February 2016). "Scientists Chirp Excitedly for LIGO, Gravitational Waves and Einstein". The New York Times . ISSN 0362-4331 . Retrieved 13 February 2016. ↑ Strom, Marcus (12 February 2016). "Gravitational waves: how they sound and why scientists are going nuts". The Sydney Morning Herald . ↑ Drake, Nadia (12 February 2016). "Gravitational Waves Were the Worst-Kept Secret in Science". National Geographic. ↑ Twilley, Nicola (11 February 2016). "Gravitational Waves Exist: The Inside Story of How Scientists Finally Found Them". The New Yorker . ↑ Allen, Bruce; Buonanno, Alessandra; Danzmann, Karsten (11 February 2016). "The signal caught our eye immediately" (Interview). Interviewed by Felicitas Mokler. Max Planck Society. Retrieved 11 February 2016. ↑ Sarah Scoles (11 February 2016). "LIGO's First-Ever Detection of Gravitational Waves Opens a New Window on the Universe". WIRED. ↑ Billings, Lee (12 February 2016). "The Future of Gravitational Wave Astronomy". Scientific American . Retrieved 13 February 2016. ↑ Knapton, Sarah (11 February 2016). "Moment scientists reveal major gravitational wave finding". The Telegraph . ↑ Blanchet, Luc (2014). "Gravitational Radiation from Post-Newtonian Sources and Inspiralling Compact Binaries". Living Reviews in Relativity . 17 (1): 2. arXiv: 1310.1528 . Bibcode:2014LRR....17....2B. doi:10.12942/lrr-2014-2. PMC 5256563 . PMID 28179846 . Retrieved 16 February 2016. ↑ Campanelli, Manuela; Lousto, Carlos; Marronetti, Pedro; Zlochower, Yosef (2006). "Accurate Evolutions of Orbiting Black-Hole Binaries without Excision". Phys. Rev. Lett. 96 (11): 111101. arXiv: gr-qc/0511048 . Bibcode:2006PhRvL..96k1101C. doi:10.1103/PhysRevLett.96.111101. PMID 16605808. ↑ Blanchet, Luc; Detweiler, Steven; Le Tiec, Alexandre; Whiting, Bernard F. (2010). "Post-Newtonian and numerical calculations of the gravitational self-force for circular orbits in the Schwarzschild geometry". Phys Rev D . 81 (6): 064004. arXiv: 0910.0207 . Bibcode:2010PhRvD..81f4004B. doi:10.1103/PhysRevD.81.064004. ↑ "Why Numerical Relativity?". www.black-holes.org. SXS project. Retrieved 16 February 2016. 1 2 Belczynski, Krzysztof; Holz, Daniel E.; Bulik, Tomasz; O’Shaughnessy, Richard (23 June 2016). "The first gravitational-wave source from the isolated evolution of two stars in the 40–100 solar mass range". Nature. 534 (7608): 512–515. arXiv: 1602.04531 . Bibcode:2016Natur.534..512B. doi:10.1038/nature18322. ISSN 0028-0836. PMID 27337338. 1 2 "Ancient Stars Unleashed a Space-Time Tsunami Felt on Earth". news.nationalgeographic.com. 22 June 2016. Retrieved 22 June 2016. ↑ McNish, Larry (19 March 2012). "The RASC Calgary Centre - The Constellations" . Retrieved 16 December 2016. ↑ Connaughton, V.; Burns, E.; Goldstein, A.; Briggs, M. S.; Zhang, B.-B. ; et al. (2016). "Fermi GBM Observations of LIGO Gravitational Wave event GW150914". The Astrophysical Journal. 826: L6. arXiv: 1602.03920 . Bibcode:2016ApJ...826L...6C. doi:10.3847/2041-8205/826/1/L6. ↑ Savchenko, V.; Ferrigno, C.; Mereghetti, S.; Natalucci, L.; Bazzano, A.; et al. (April 2016). "INTEGRAL upper limits on gamma-ray emission associated with the gravitational wave event GW150914". The Astrophysical Journal Letters . 820 (2): L36. arXiv: 1602.04180 . Bibcode:2016ApJ...820L..36S. doi:10.3847/2041-8205/820/2/L36. ↑ Tavani, M.; Pittori, C.; Verrecchia, F.; Bulgarelli, A.; Giuliani, A. (5 April 2016). 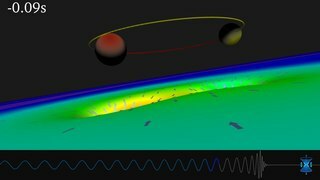 "AGILE Observations of the Gravitational Wave Event GW150914". The Astrophysical Journal. 825 (1): L4. arXiv: 1604.00955 . Bibcode:2016ApJ...825L...4T. doi:10.3847/2041-8205/825/1/L4. ↑ Siegel, Ethan (3 June 2016). "NASA's Big Mistake: LIGO's Merging Black Holes Were Invisible After All". Forbes. Retrieved 9 June 2016. ↑ Greiner, J.; Burgess, J.M. ; Savchenko, V.; Yu, H.-F. (1 June 2016). "On the GBM event seen 0.4 sec after GW 150914". The Astrophysical Journal Letters. 827 (2): L38. arXiv: 1606.00314 . Bibcode:2016ApJ...827L..38G. doi:10.3847/2041-8205/827/2/L38. ↑ Connaughton, V.; Burns, E.; Goldstein, A.; Briggs, M. S.; et al. (January 2018). "On the Interpretation of the Fermi-GBM Transient Observed in Coincidence with LIGO Gravitational-wave Event GW150914". The Astrophysical Journal Letters. 853 (1): L9. arXiv: 1801.02305 . Bibcode:2018ApJ...853L...9C. doi:10.3847/2041-8213/aaa4f2. ↑ Siegel, Ethan (2 February 2018). "Black Hole Mergers Might Actually Make Gamma-Ray Bursts, After All". Forbes. Retrieved 14 February 2018. ↑ Woo, Marcus (16 February 2016). "LIGO's black holes may have lived and died inside a huge star". New Scientist. Retrieved 17 February 2016. 1 2 Loeb, Abraham (March 2016). "Electromagnetic Counterparts to Black Hole Mergers Detected by LIGO". The Astrophysical Journal Letters . 819 (2): L21. arXiv: 1602.04735 . Bibcode:2016ApJ...819L..21L. doi:10.3847/2041-8205/819/2/L21. ↑ Gough, Evan (18 February 2016). "Did a Gamma Ray Burst Accompany LIGO's Gravity Wave Detection?". Universe Today. Retrieved 19 February 2016. 1 2 "High-energy Neutrino follow-up search of Gravitational Wave Event GW150914 with ANTARES and IceCube". LIGO. 12 February 2016. Archived from the original on 15 February 2016. ↑ Evans, P.A. ; et al. (6 April 2016). "Swift follow-up of the Gravitational Wave source GW150914". MNRAS. 460 (1): L40–L44. arXiv: 1602.03868 . Bibcode:2016MNRAS.460L..40E. doi:10.1093/mnrasl/slw065. ↑ Barish, Barry. "New results on the Search for Gravitational Waves, CERN Colloquium, 2/11/2016" . Retrieved 18 March 2016. ↑ "LIGO Open Science Center". losc.ligo.org. Retrieved 14 February 2016. ↑ Overbye, Dennis (3 May 2016). "LIGO Gravitational Wave Researchers to Divide $3 Million". The New York Times . Retrieved 4 May 2016. ↑ "2016 Gruber Cosmology Prize". Gruber Foundation . Retrieved 4 May 2016. ↑ "Shaw Laureates 2016". The Shaw Prize Foundation. ↑ Clavin, Whitney (1 June 2016). "2016 Shaw Prize Awarded to LIGO Founders". Caltech News. ↑ "Nine scientific pioneers to receive the 2016 Kavli Prizes". AAAS EurekAlert!. 2 June 2016. Retrieved 2 June 2016. ↑ "2016 Enrico Fermi Prize". Società Italiana di Fisica . ↑ "AAS Announces Recipients of 2017 Prizes and Awards". American Astronomical Society . 9 January 2017. Retrieved 21 January 2017. ↑ Mack, Katie (12 June 2017). "Black Holes, Cosmic Collisions and the Rippling of Spacetime". Scientific American. Retrieved 1 July 2017. ↑ "Gravitational wave astronomy". Einstein Online. Max Planck Society. 2016. Retrieved 24 February 2016. ↑ Camp, Jordan B.; Cornish, Neil J. (2004). "Gravitational wave astronomy". Annual Review of Nuclear and Particle Science (published December 2004). 54: 525–577. Bibcode:2004ARNPS..54..525C. doi:10.1146/annurev.nucl.54.070103.181251. ↑ Abbott, B. P.; et al. (LIGO Scientific Collaboration and Virgo Collaboration) (15 June 2016). "GW151226: Observation of Gravitational Waves from a 22-Solar-Mass Binary Black Hole Coalescence". Physical Review Letters . 116 (24): 241103. arXiv: 1606.04855 . Bibcode:2016PhRvL.116x1103A. doi:10.1103/PhysRevLett.116.241103. PMID 27367379. ↑ "LISA Pathfinder exceeds expectations". elisascience.org. 7 June 2016. Archived from the original on 3 August 2016. Retrieved 7 June 2016. ↑ Abbott, Benjamin P. (10 February 2016). "The Rate of Binary Black Hole Mergers inferred from Advanced LIGO Observations surrounding GW150914". The Astrophysical Journal Letters. 833 (1): L1. arXiv: 1602.03842 . Bibcode:2016ApJ...833L...1A. doi:10.3847/2041-8205/833/1/L1. ↑ Cooper, Keith (21 February 2016). "Are gravitational waves being 'redshifted' away by the cosmological constant?". PhysicsWorld.com. Institute of Physics. Retrieved 20 February 2016. 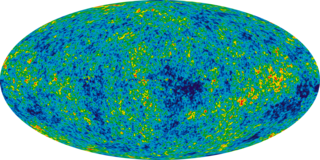 ↑ "Tests of Big Bang: The CMB". NASA. 5 December 2014. Retrieved 24 February 2016. Calandrelli, Emily; Escher, Anna (16 December 2016). "The top 15 events that happened in space in 2016". TechCrunch. Retrieved 16 December 2016. Wikimedia Commons has media related to GW150914 . "First detection!" (PDF). LIGO Magazine. No. 8. March 2016.